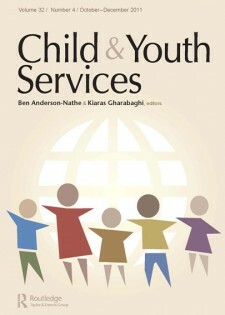 Child & Youth Services is an international academic journal devoted to advancing knowledge and thinking about relational engagement with children, youth, their families, and communities. Recognizing that children and youth, no matter what challenges they may face, are citizens of the world, the journal is a forum for dialogue among the international community of scholars and practitioners concerned with the lives of young people. Through peer-reviewed articles, columns, book reviews, and op-ed pieces, Child & Youth Services addresses topics of concern to children and youth in the multiple arenas of their lives, including but not limited to residential care, street and homeless youth work practice, juvenile corrections, relational practice, program development and implementation, and youth policy. The journal highlights the intersections of research and practice, inviting articles that speak to scholarly as well as practice audiences. Child & Youth Services brings together scholars and practitioners from a range of disciplines, including child and youth care, social work, education, social policy, and family studies.